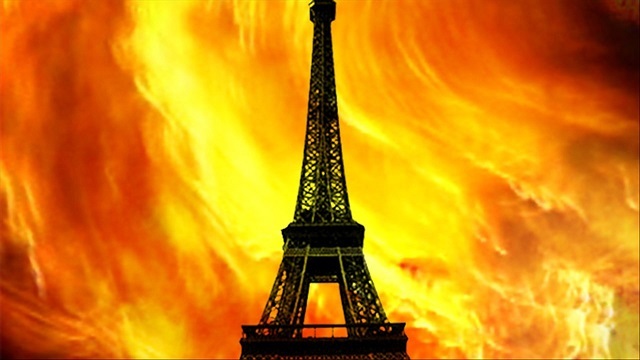 PARIS (AP) — A fire in a Paris apartment building early Tuesday killed seven people and sent residents fleeing to the roof or climbing out their windows to escape, authorities said. The cause of the blaze that injured 28 people is unclear. Firefighters were still searching for other victims and working to extinguish the blaze, according to spokesman Clement Cognon of the city fire service. He told The Associated Press that the fire broke out early Tuesday in the eight-story apartment building on Rue Erlanger in the 16th arrondissement, or district. “The situation was already dramatic when the firefighters arrived,” Cognon said. Firefighters rescued about two dozen people who had fled to the roof or climbed out windows to escape the flames, and evacuated others from inside. The building is about one kilometer (less than a mile) from the Roland Garros stadium that hosts the French Open tennis tournament, and close to the popular Bois de Boulogne park on the city’s western edge. The 16th arrondissement is one of the most high-end and calmest districts of Paris. More than 200 firefighters and emergency workers are on the scene, Paris police said, and the street is blocked off. People in neighboring buildings were also evacuated.